PreviousDetroit Abstracts: Penobscot Building NextDetroit OG's: Downtown from Mack Ave. The Packard Plant is a global icon. Designed by famed Detroit architect Albert Kahn in 1903 it was the first automobile plant in the world to use a revolutionary technology at the time, reinforced concrete. The entire plant consists of multiple buildings and covers almost 40 acres on Detroit's East Side, making it one of the largest in the world. Before closing in the 50's, its assembly line it churned out everything from luxury vehicles to tanks for the war efforts in Europe. As it lies in ruins waiting for redevelopment, it straddles East Grand Boulevard as the world's largest abandoned automobile factory. It's truly a monument to the city's past as an industrial powerhouse. Your purchase includes: (1) 18" x 24" high-quality digital image with a 300 DPI resolution perfect for printing, printable display card with building facts, printing instructions, the freedom to print as many of these as you'd like, and yes we take the watermark off. 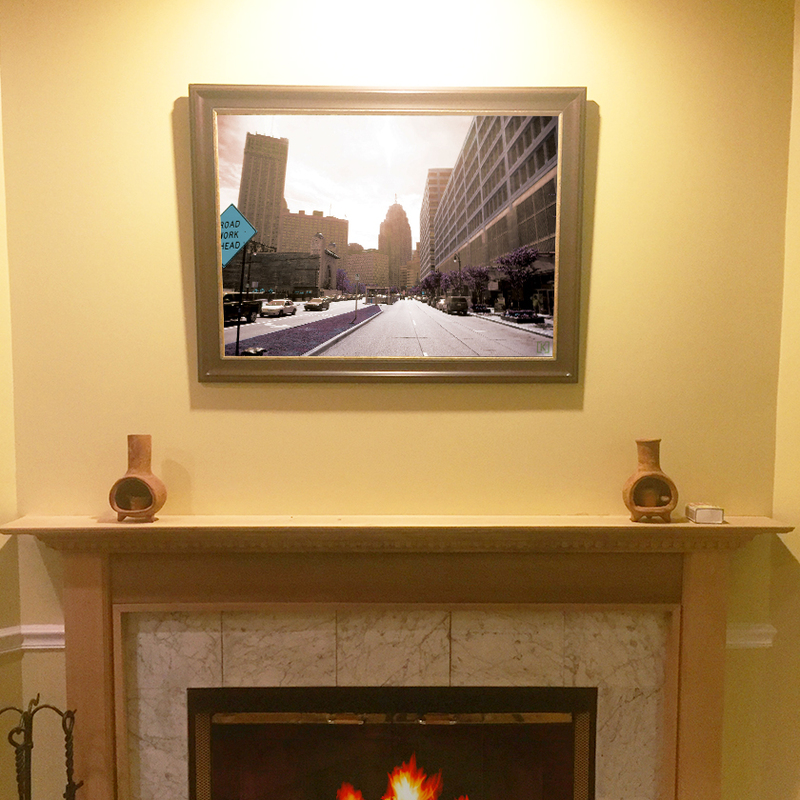 Bring a piece of Detroit's history into your home today.